Bring home a piece of Keeneland with unique decor and keepsakes from fine brands like Catstudio, Jack Rudy, Louisville stoneware, Dishique and more! 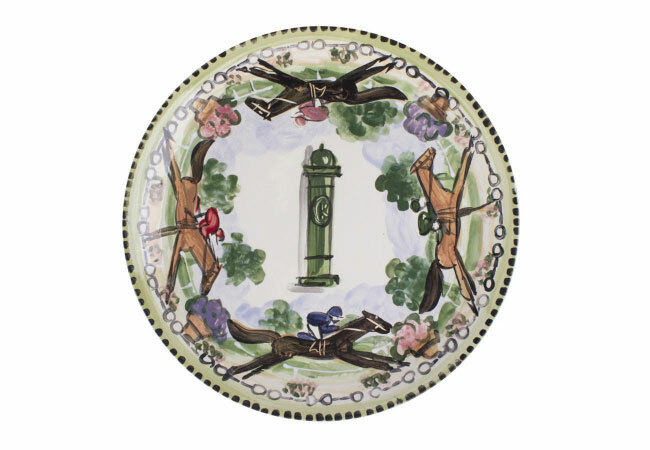 Elevate your hospitality this Spring by adding Keeneland’s exclusive racing-inspired home décor lines to your home. 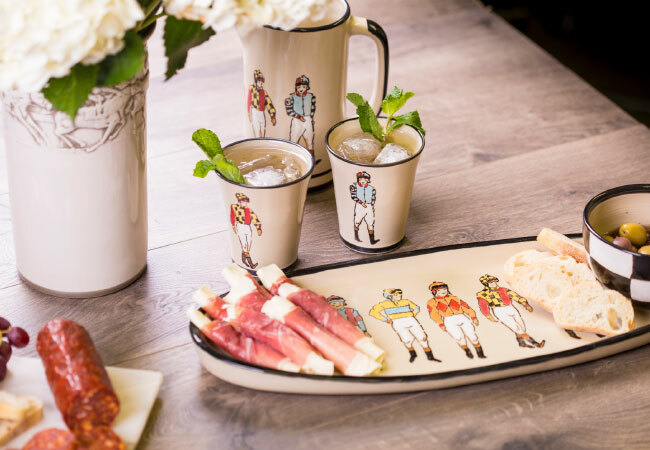 The Keeneland Shop offers a variety of unique, equestrian-inspired items that are perfect for adding a touch of Kentucky to your Derby parties and dinner parties. Mix up a cocktail in a Keeneland-inspired glass with craft cocktail mixes by Jack Rudy and Gents Original. 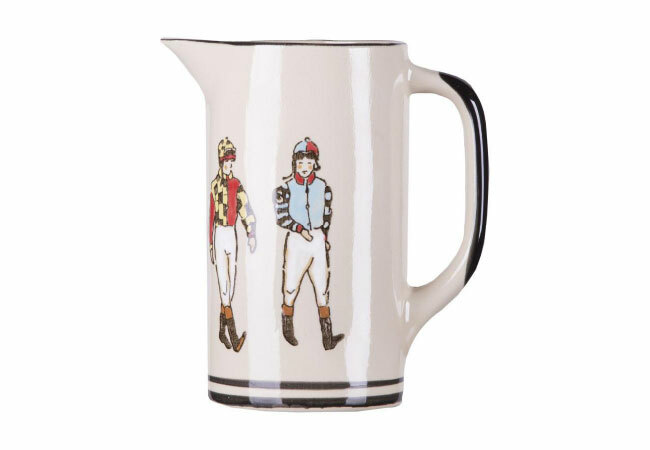 You can serve up your favorite Southern dish on their raceday-inspired hand-painted plates and platters by Frederique or beautiful pitchers and trays from the “Off to the Races” pattern designed in collaboration with local makers Louisville Stoneware. The shop also carries a variety of custom-designed etched and engraved pewter barware from Match Pewter. 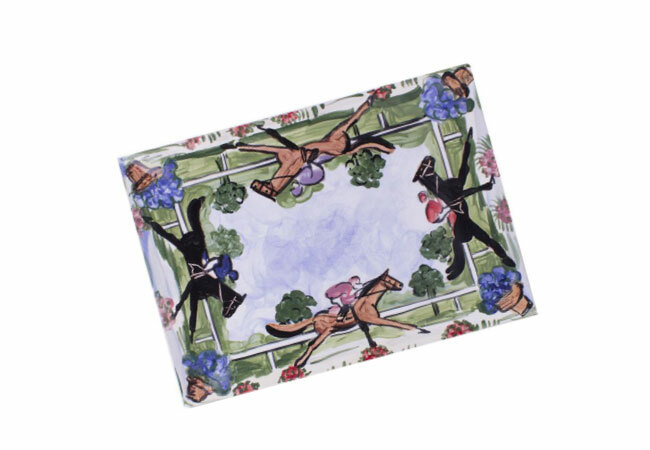 As well as exclusive products by Catstudio, featuring a number of Keeneland racing favorites and icons on pillows, tea towels and glasses. Highly curated and custom designed, each line is as unique as the next. 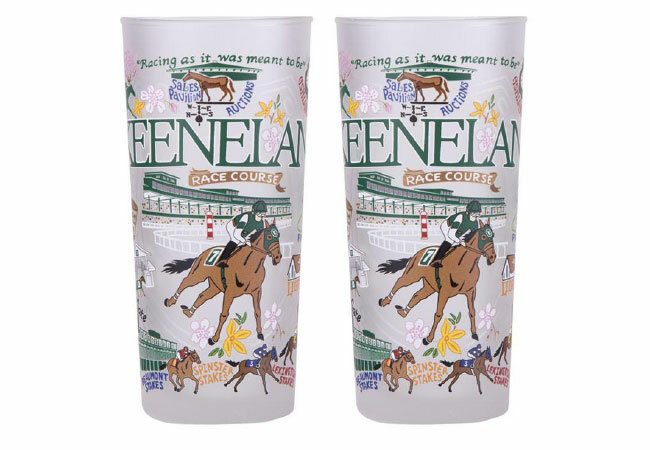 The Keeneland Shop collaborates with a number of local and specialty brands to create pieces that will bring warm Kentucky memories right into your home. Whether you’re shopping for a thoughtful hostess gift, a Mother’s Day present or a cherished wedding gift, The Keeneland Shop offers the perfect selection of memorable home pieces. Spending time with family and friends is more fun when they are serving in style! Visit the Keeneland Shop all year or their website at www.shopkeeneland.com.